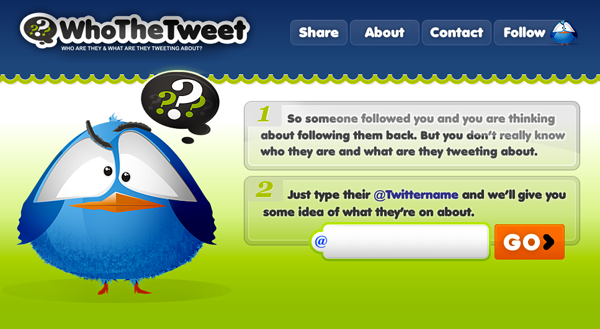 Who The Tweet was a project I freelanced on. The goal was to make a word cloud of what the user posts about the most. This was probably one of the first projects I worked on that used word blacklisting, and counting. It inspired some ideas for Tumblr Cloud.